Never once did I think that my weight gain was going to turn into what it is now. Just like I had said in part one of this blog series, Cushing’s disease has robbed me of my youth. As you are reading this, I will have had surgery and will hopefully now be two days into recovery. This means that Cushing’s will no longer be stealing the time I have here as a young person. I’m taking back from the disease what it has taken from me – energy, strength, patience, memory, intelligence, friends and family time. It will not be easy, but I will get there. I have to get there. I’m tired of Cushing’s taking negative tolls on my social life, relationships and career and life goals. My social life is non-existent. All the already low energy I have is saved up for work. I work, go home, do any chores needed and then I’m in bed. It doesn’t matter how long I spend in bed or how long I sleep – I do not gain any energy. The high levels of cortisol in my body, as a result of Cushing’s disease, prevent my body from remembering how to relax. My levels are almost five times higher than the highest level for the average person. I crave sleep, but Cushing’s won’t let my body have it. After feeling too crazy, too lost and too uneven, I broke up with my boyfriend (twice) because I didn’t believe I had it in me to handle a relationship. Thankfully, he and I are good now, but the last year has definitely been plagued with a lot of trouble between the two of us. There has been too much anger and I’m ready to see it all go. At the start of this journey with Cushing’s, my family, friends and boyfriend didn’t understand why I had been gaining so much weight. I hadn’t put on any in almost six years and suddenly, it felt like within one night, I was huge. Everyone was telling me to go to the gym more and eat better (even though I was already doing all of that without anyone’s advice). I kept telling my peers and loved ones that all of this (and all of me) was beyond diet and exercise – there was something else going on. You get funny looks when you say things like that. People like to assume you’re just lazy or not exercising correctly. And then, a part of you starts to believe that this is true. You start to blame yourself. I started to blame myself. Instead of working on taking care of myself, I was trying so hard to get everyone to see that I was, I really was, not well. I had just graduated from a marketing program in June of 2016 and was accepted to be a marketing coordinator at a pottery studio in April of that year, right when I was done exams. This is a huge win for new-grads. A job right away? Adult. Win! However, back in April, I wasn’t feeling the greatest. Despite the negativity that swarmed in my blood and in my head, I tried to remain optimistic and ready to start my career with a bang. When you finish school, you feel like you can do anything – and I was determined to hang onto that feeling. I didn’t want to let go of all my hope. By June, my weight started piling on heavily, my bones started to become weak and my mind wasn’t as strong as it once was. I kept forgetting things, simple tasks became major tasks and I couldn’t understand common practices or typical todos. I am so incredibly lucky, though. My boss was and is beyond understanding. This journey has not been convenient for anyone working with me, I know. I can barely handle myself let alone the thought of others having to put up with me. 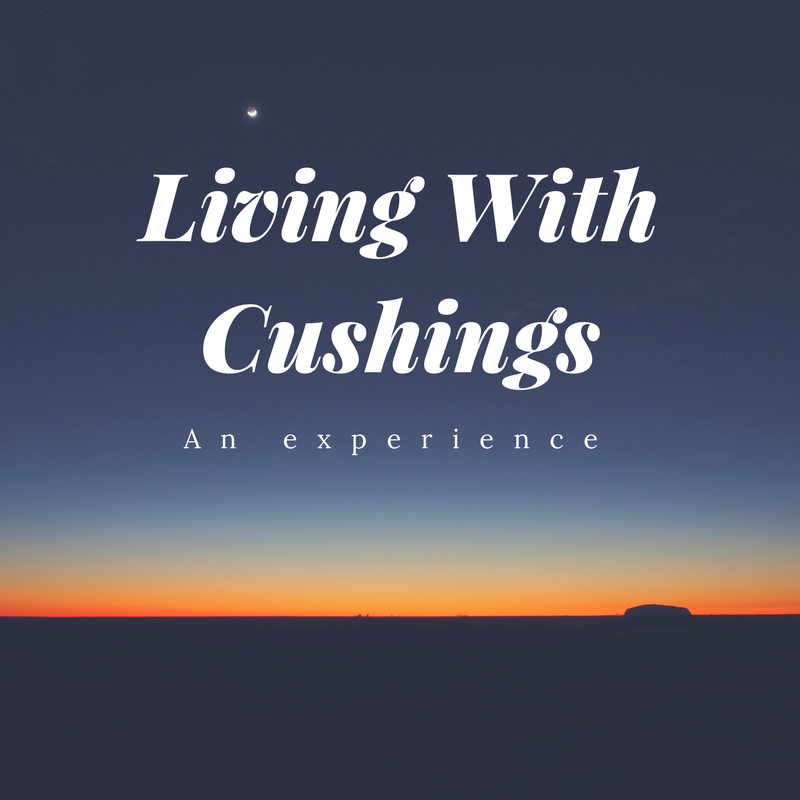 Cushing’s disease has drastically impacted everything in my life. It has taken over. Still, I am so incredibly fortunate to have started my career with such a hard-working, understanding boss lady. I have no idea where I’d be right now if she wasn’t so helpful. I am a strong, hardworking, passionate, smart, successful young woman, but it’s so easy to take one look at me and assume the worst. My boss believed in me during a time when my health was at its worst and she reminded me how important it is to have people in my life who support and encourage me to never give up. Although surgery has happened and recovery is in my sight, I will be in remission for at least a year. Throughout 2017, I’m committed to working harder than I ever have before for my health, relationships and career. And, those three items will be prioritized exactly as they’ve been written. I come first, then my relationships and then my career. Without health, I cannot succeed. Before I know it, I will be back to wearing proper clothing again, going out to dinners with friends and planning new business ventures. I plan to continue advocating for Cushing’s disease and brain tumours. I can’t wait to make a difference in my own life while also impacting the lives of others. This disease may have robbed me of my youth, but I refuse to let it take any more from me. For the first time in a long time, I can see the sunshine at the end of a very long, heavy rainstorm. Catch you all in part three of this blog series, where I will discuss life in remission, and hopefully time also spent enjoying life in the sunlight.